I guess that is what happens when during a pregnancy, but really, should it be this bad? I can no longer be trusted with car keys. Or any key for that matter. Even if I have them for just two minutes I loose them, and then I spend nearly an hour searching for them and two days later I seem to find them... where they belong. I mention this because it has happened more than once now. In fact, by 1:00 in the afternoon I had lost my keys seven times today. No joke! I needed them because I was out running errands, and while I was out I lost them. And spent a long time looking. But Keith had a lot of fun playing hide and seek with the keys, so I guess I can't complain. I mean providing entertainment for my toddler is what I live for. Didn't you know that? P.S. Stay tuned tomorrow for another fabulous guest post! tArEn from Free Flan is coming by to leave some of her wonderful snark. Can't hardly wait! I get so frustrated at myself when I do this sort of thing! Ahh!!! 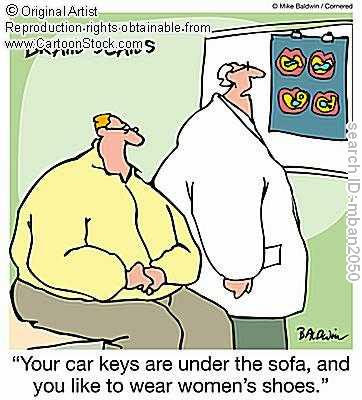 I do that all the time, with more than just keys, and I'm not even pregnant! It's scary though when you lose them at a store. I lost mine at the mall one time and it took forever to find them. I had to search through every store I had gone to and I finally found them on a clothes shelf at Macy's. Glad Keith at least got some enjoyment out of the "game"! For some reason I always find things in the pantry or the refrigerator. Go figure?? My boyfriend seriously lived in a haunted house in college. They'd set something down and it would disappear, only to reappear an hour or so later in that same spot. They all thought they were crazy. 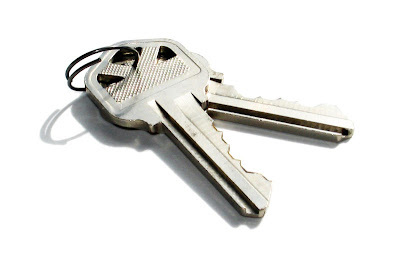 Then one time his keys disappeared and he found them on the floor, spread out, OFF the keyring. Evenly spaced, all in a row. He was the only one home. Creepy! #1- scent the keys in a very disgusting scent. (like raccoon blood) This will keep your memory active when you put them down. #2- color code entire house. This way you will only put the keys with things of the same color. #3- sew a key compartment into your underwear. Then you'll always know where they are. #4- get a key holder and put it on your wall. Personally, I went with #4 and usually that works pretty good. But introducing anything new at this point can be challenging with being pregnant. Pretty much everything stresses me out. Even nothing stresses me out. Its so frustrating! Um, oops. Anything to entertain the little guy, right? I just saw your nesting list, and I think it would be most beneficial (for me anyway) to have you come do your nesting at my house! I've not only lost the keys, locked them in the car a few times, but I've also LOST MY CAR. Yeah I never remember where I park and always lose the car in huge parking lots. One time I didn't lose it though, it was actually stolen.